The Quiet Man Announced, Coming Soon (Updated!) | Nerd Much? Square Enix’s 2018 E3 video conference was roughly a half an hour of games that we’ve mostly all seen or heard about before. The publisher really didn’t bring much new to the table. 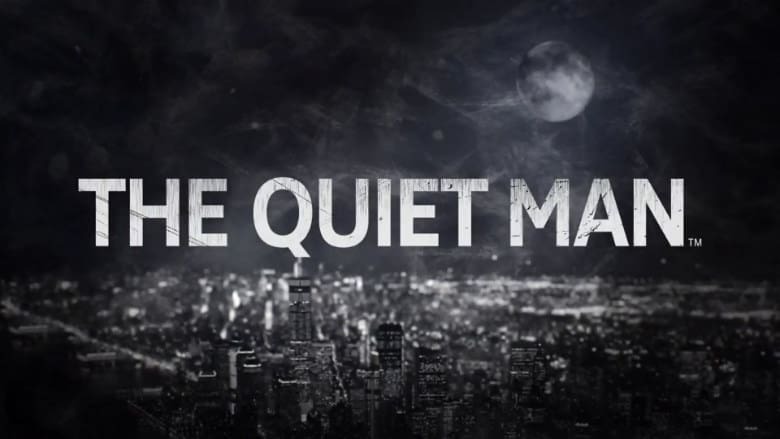 But there was an announcement of a new IP that has us intrigued – The Quiet Man. The trailer for The Quiet Man is primarily live action. There’s very little time spent in-game outside of a few seconds of combat towards the end. The game is obviously early on in development and the title’s first trailer has you asking more questions that it provides answers. In live action, a young man is seen walking city streets with a brown paper bag in hand. He comes across an alley and is told he’s in the wrong area by some lingering thugs. The man then points to his ear and shakes his fingers indicating that he’s unable to hear him. The thugs begin advancing on our deaf protagonist. The camera gets in close on our main character and the scene subtly changes over from live action to in-game engine footage. Our deaf man then makes quick work of the intruding duo with a series of brutally efficient blows. The scene then returns to live action, the man places the paper bag on one of the unconscious foes’ face and walks away. The trailer then noted that there would be more to come on the game in August. It evoked a bit of a Daredevil feel with the urban setting and a deaf yet very dangerous hero. We’ll have to wait a few more months to find out more, but we do know the game is being developed for PlayStation 4 and PC.